Is There a Difference Between a Tourist and a Traveler? In my view, of course, there is! A real traveler does not walk the beaten paths in a crowd of easily impressed sightseers. His sharp eye misses nothing. 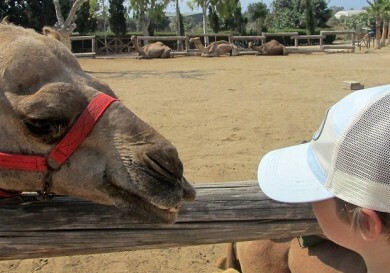 Even a familiar route can become a fascinating adventure filled with new emotions and impressions for a traveler. Today I am talking to travelers. I am inviting you on a journey to the Salt Lake. 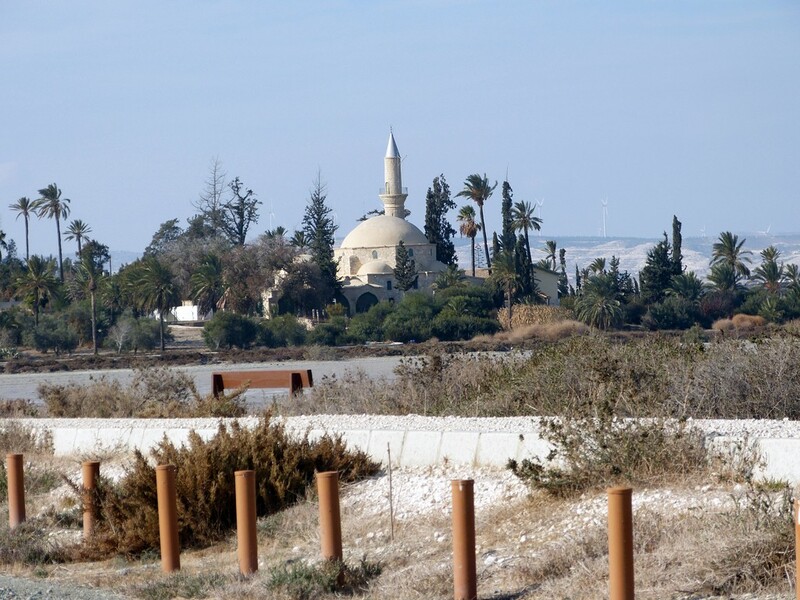 Apart from the wonderful landscape, we will see an ancient Muslim shrine to Hala Sultan, whilst the end of our journey will be at the ancient orthodox church of the Most Holy Mother of God Angeloktistos (Built by angels). 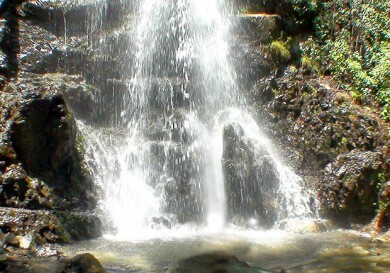 I suggest we start our trip from the ancient aqueduct in the region of Каmares. It is hard to miss, when you enter Larnaca from Limassol. The Aqueduct is considered to be one of the main sights of Larnaca for a reason. It was built in 1747 during the times of the Ottoman rule on the orders of the then governor (viceroy) of Larnaca, Abu Bekir Pasha. The reason was a real shortage of fresh water in the city. 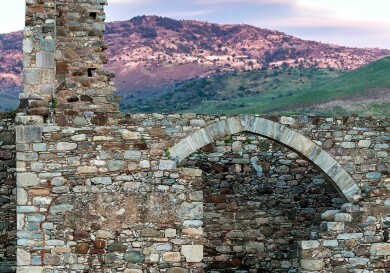 There is evidence that Bekir Pаsha financed the construction from his own funds. 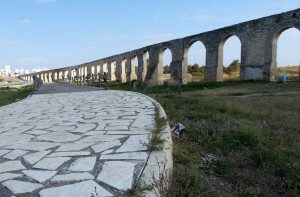 The aqueduct, which consists of 75 аrcs built in the Roman style, sent water on a distance of about 9.7 km from source to the center of the city. Apart from the on land section there was also a long underground tunnel. This engineering and architectural соnstruction was a real innovation for those times. The Aqueduct was in use until 1939. It was the ancient building that gave the name to this district of the city, because каmares means arcs in Greek. 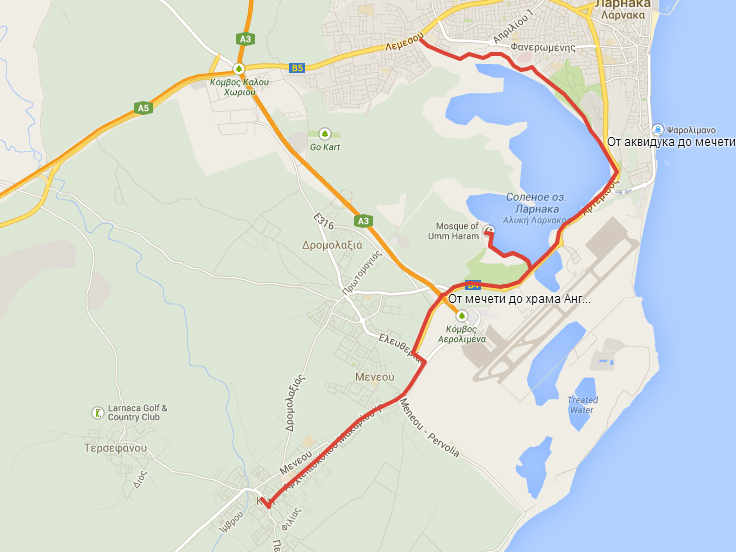 A 4 km pedestrian route starts from the aqueduct along the Salt Lake. But I suggest we leave the car on a parking lot near the aqueduct and use a bicycle, so that we can travel further and make the route more interesting! Where shall we get the bicycle you will ask? It can be rented without a problem! So, we set off on our bike, noticing a copper plate on the border stone which says that the path is of cultural value, and ride on the sandy path along the Salt Lake. Of course, the best time for such a trip would be winter when the lake is full of water, and numerous birds come here. With a total area of about 2.2 sq. km, the lake becomes a retreat for more than 85 species of water fowl, with an approximate population of 20,000 – 38,000. This is one of the important international migration routes for birds. The most outstanding feathered friends who come here are, оf course, pink flamingoes. They spend the winter months on the lake feeding on a type of shrimp, which breed in salty water. 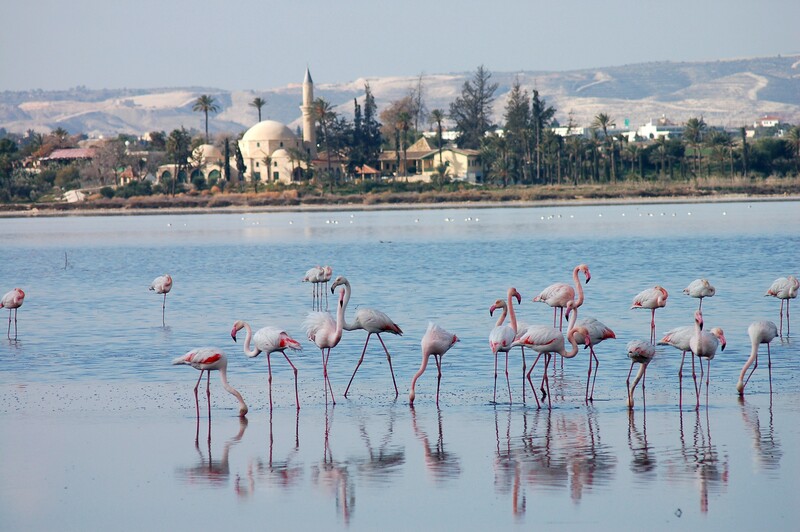 The flamingos live for 40 years on average, and we can say that the Salt Lake of Larnaca is their favourite resort. Other important inhabitants of the Salt Lake are the common Crane, red-capped Dotterel, black-winged Stilt, Norfolk Plover, spur-winged Lapwing and Cyprus Warbler. Оrnithologists, like birds, flock together near the Salt Lake and study the lives of their charges. The area of the lake has been in state care since 1997. If you tear yourself away from watching the birds and look at the opposite side of the lake, you will immediately see the Hala Sultan mosque. This is where we are going. The minaret of the mosque will always be within your sight so you cannot lose your way. 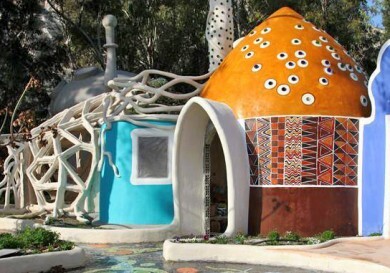 Skirting the left bank of the lake, you will soon reach Hala Sultan. The entrance is free. The place is open from Monday to Sunday from 08:30 tо 05:00. It’s closed on Friday. The Hala Sultan complex consists of a mosque, a mausoleum, a minaret, a cemetery and residential quarters for men and women. According to the most popular historical version, the complex was built on the place of the death and burial of Umm Haram, who was an aunt of the Prophet Muhammad, and the wife of a successful commander of that time, Ubada bin al-Samit. During the Arab raids of Cyprus in 647–649 Umm Haram followed the army. Beingof an elderly age, the woman fell off her mule and died. 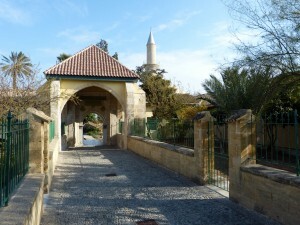 Although the mosque has not been operating for a long time, it is still one of the five most important shrines of Islam. After we have looked at the mosque and had a rest, we can move forward. We have to travel about 6 km to the village of Kiti. Please be careful as you will now be riding along a road where cars are moving. So, following the signposts we have to cross 2 roundabouts, turn left at a Т-junction, then take a right and go until you reach the Petrolina Garage (to the right) straight, without turning. Then turn to the right, and you are there. 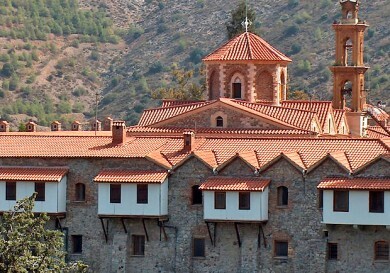 There is the church of the Most Holy Mother of God Angeloktistos (Built by angels). What is this small church well known for? Is it true that it was built by angels? 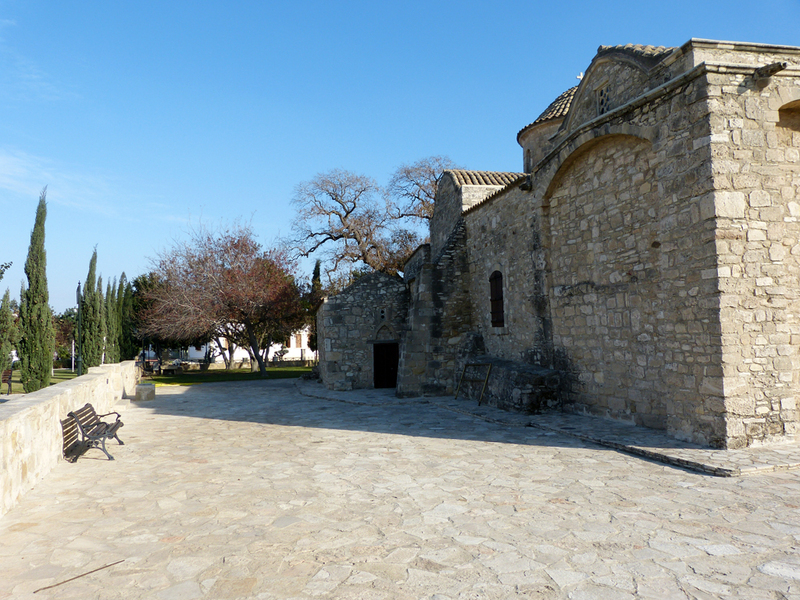 The Panhagia Angeloktistos church was built in the 11th century on the ruins of an early Christian basilica of the 5th century. The basilica was semicircular, and its cupola is preserved until now as part of the church altar. 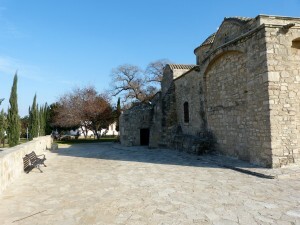 At the end of the 13th century a Byzantine chapel was added to the church, which is now the main facade. According to legend, inhabitants of ancient Кition, when fleeing from Arab invaders, moved to Кiti for safety and decided to erect a church in honour of the Mother of God. When the builders who worked on the construction came to the site in the morning they discovered that the foundations had been moved. People decided that it was angels hinting that there was a better place for the construction, and so they built the church there. The mosaic, which has been preserved since the 5th century shows the Holy Mother with the Infant in her hands and Archangels Michael and Gabriel, reminding us of the angels’ participation in the erection of the church. Besides the priceless mosaics, there are several unique icons dating back to the 13th-16th centuries in the church. 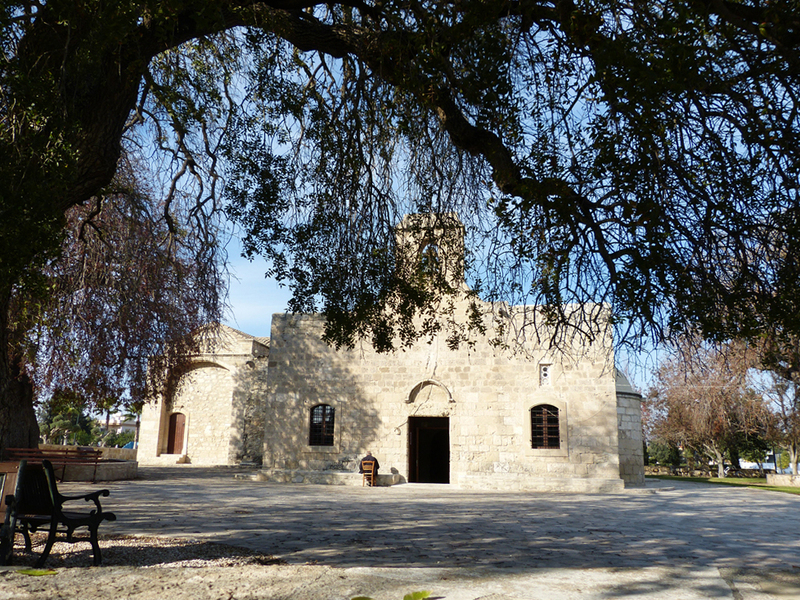 Located in a park under the shadows of century-old trees, the church serves as the key place for holding all village Christian celebrations, including spectacular Cypriot weddings and baptisms. Make the effort and walk around the church, along a low stone wall, see how the elements preserved from previous buildings are organically interwoven with the new construction. The church is open for visitors every day from 07:00 tо 18:30. On Sundays from 09:00. The soul is usually sated and happy at this point of the journey, which cannot be said about the body! You may lack strength for the ride back; it is high time for refreshment! There is a very popular café, called Tamala, next to the church. You will definitely find something to your taste there. After the bike ride it is not only the taste, but also the size of the serving which is important. Do not worry, prices in Tamala are quite affordable and servings are good, this is why you can recharge the batteries without much damage to your wallet. I do not think you will have any problem in finding the way back to the car. 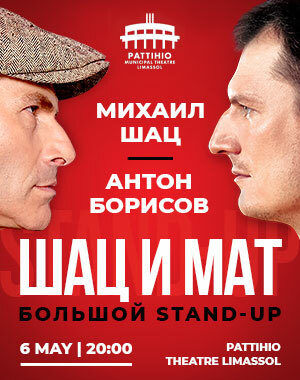 I am finishing my story here and wish good luck to those who would want to repeat my journey.